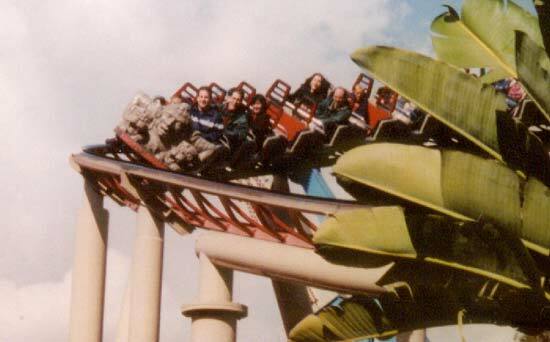 The first coaster of my 2001 coaster season was Jaguar which turned out to be hyper fun. Here's a photo of the first drop as well as some of the lush greenery that is all over Knott's. I was not expecting that much from Jaguar but it ended up blowing me away. This is one of the most fun coasters out there plus it's nice that it goes all over a large portion of the park including the midway. 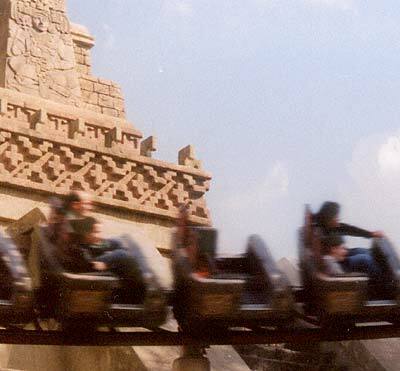 In addition to being a lot of fun Jaguar has a really great station that is themed to a Mayan pyramid. Actually it is a really long queue but it is very nicely themed (I really liked the pile of skulls) and fun to walk through. 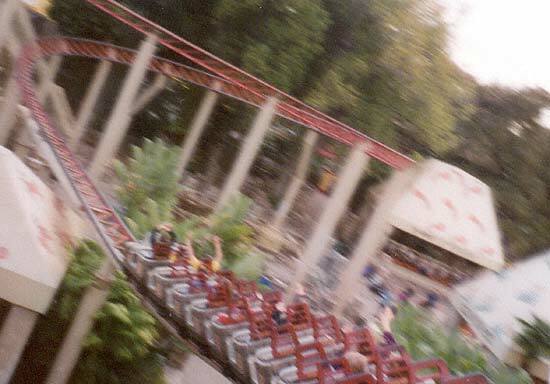 Click here for more Knott's Berry Farm pictures.